Getting toddlers involved in chores is important to help them feel like they are contributing and to encourage their natural desire for independence. 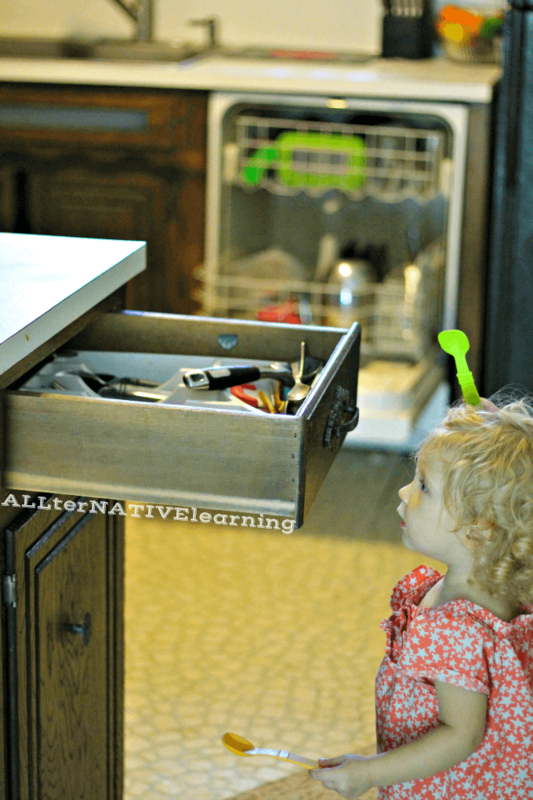 From using Dishwasher tabs to help them have more control in helping with dishes to giving them ways to mimic your own efforts to complete household chores, there are a number of simple changes you can make and easy ways to incorporate chores for young toddlers and keep them involved around the house! So first, why start at 15 months? 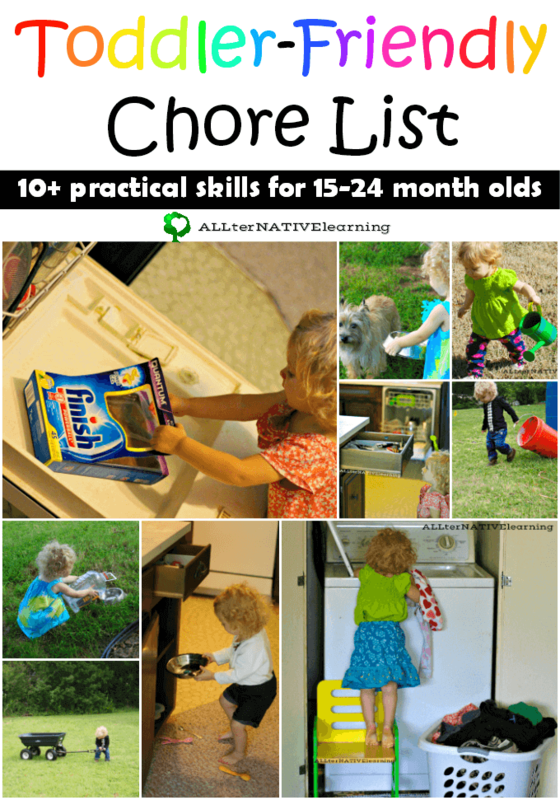 We started chores before this point, but typically most children are mobile and have a basic vocabulary by the time they hit 15 months. Therefore, this was an obvious place to start in terms of truly getting my daughter involved in daily tasks. 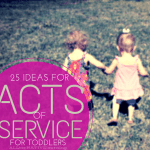 If you find any of these chores to be too much for your child, ease into them. And if they master each one, find another area in your home where they can help. 1. 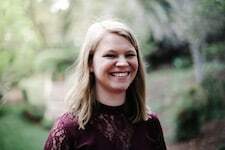 Help with Dishes – My daughter has been helping unload the dishes since she was 17 months old. I would unload the knives first, open the silverware drawer, and while I put other dishes away, she throws the silverware up into the drawer. Over the months, she has helped me even more. At 22 months, she unloaded everything on the bottom rack except for knives, (but we’re working on knife-holding etiquette). In fact, she has her own cabinet space to put her cups, bowls, and plates. We have started looking at getting her involved at loading the dishwasher because she doesn’t understand why she can’t take the silverware out yet! Our solution? Have her put the Finish dishwasher detergent in the dispenser. She anxiously awaits the opportunity, so no more dirty silverware in my clean drawer. Plus, it’s a great way to teach her about safe handling of dishwasher detergents and other potentially harmful products around the house like knives. This means we’re teaching her a healthy respect, responsibility, and independence all at the same time. 2. 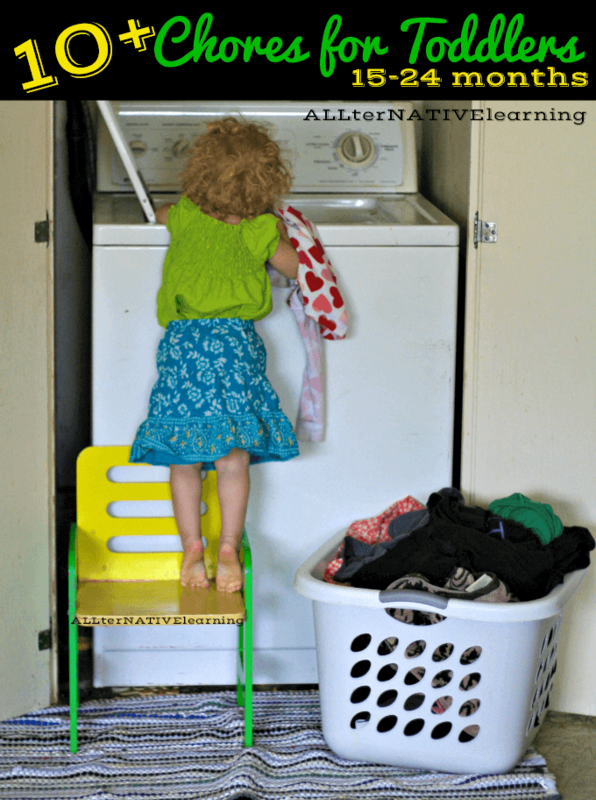 Help load the Washing Machine – We have a small stool that we use to let her easily stand at the washing machine. When we started letting her help, she was around 18 months and we would hand her small items and her own clothes to toss into the bubbles (that’s all she cared about then). Now at 22 months, she loves to help me by doing it all herself. I will start the water and put the soap in and then the basket of clothe by her stool is free-reign for her to put in the washer. Of course, bigger things like sheets and heavy towels are still my domain, but pretty much everything else she can heave into the machine. 3. Dust – By specifying where their attention should be, toddlers can be great at dusting. With a damp wash cloth or dusting wand, they can easily dust baseboards and end-tables. Just be sure that when you give them their task, you remove anything breakable or show them how to carefully accomplish their task with the breakable items. I am personally a fan of teaching toddlers to respect and know how to take care of breakable or dangerous items, but this is my own discretion as a parent. Choose what’s right for you! 4. Help care for Pets – With two dogs that she has come to adore, it was natural to allow her to take a small role in caring for them. While it meant adjusting how I personally gave them food and water, it was an easy transition that has given her a LOT of pride in her strides for independence. One of the other perks of her helping feed the dogs is that she very clearly understand what dog food is and that it is not for her. While we tried a small scoop for food at first, it was not very effective. 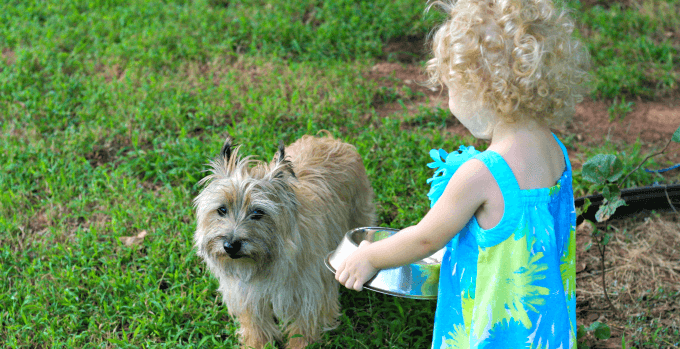 We wound up using an old tin can to scoop up food and have her carry it outside to the dog. This way it didn’t spill and it was easy for her to dump into a bowl. To help give the dogs water, we use an old plastic jug/bottle. This allows us to still control the amount of water and it give her more control when trying to get it in the bowl. (We typically put a little more water in than necessary to allot for spills). 7. Pick up Toys – Even before she could walk, my daughter was helping gather toys and put books on the shelf. The youngest toddlers can find satisfaction in helping around the house by taking control of their own messes. We have a bookshelf in the living room on its side with three baskets on top; this means that not only is there easy access for play, but it’s easy clean-up for her since she can just throw her toys in when we clean. 8. Help garden – Pulling weeds and picking fresh veggies are easy for toddlers to do and necessary in the up-keep of a garden. They can even have their own set of gloves to feel included. The only advice here is to make sure to point out what is a weed vs. a plant and what is ripe vs. not ready to be picked..
9. 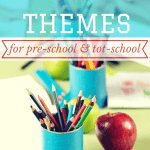 Wipe up spills – Spills definitely happen… especially with toddlers. This not only means it’s something they can help with, but it also means they can take responsibility for things that happen as well. When they spill water on the floor, instead of reaching for a towel, we started saying “Uh-oh, looks like your spilled some water. Can you help me get a towel to clean it?” We also have a stash of wash cloths and towels on a low shelf in the linen closet that she has access to when needed. Sometimes I even find her wiping up imaginary spills and it makes my heart smile so much to see her be so proud of achieving practical life skills. 10. Water Plants – Both indoor and outdoor plants are free game. And having a nice small watering can is a must! 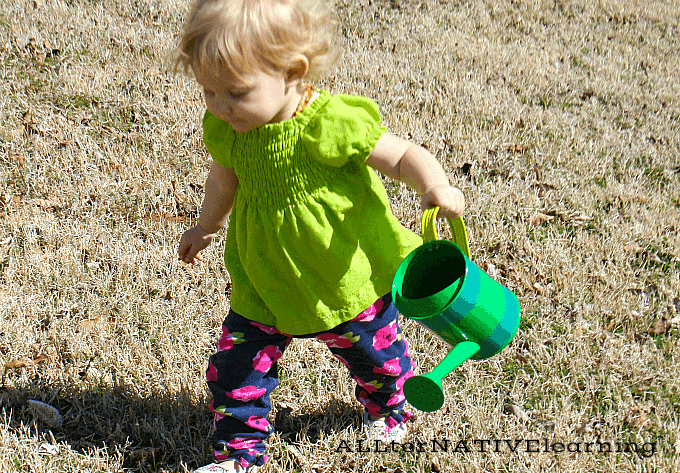 Pouring is a great gross motor activity so this is one of the first chores they can accomplish. 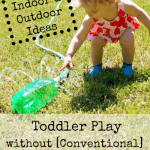 Start without outdoor plants when your toddler is young because, well, water can get everywhere. As they become more precise and more coordinated, they can start watering indoor plants. 11. Set the table – While we have a pub-height table and it’s a little more difficult for us, we have included dishes in a low cabinet so that she can help get them out when it is time to eat. She has gotten to the point that no food will ever be eaten, no matter how big or small, unless in a bowl or on a plate. Younger toddlers can start this chore by just putting a napkin at every place or by setting place mats. As they get older and more confident, add silverware, plates, and glasses. 12. 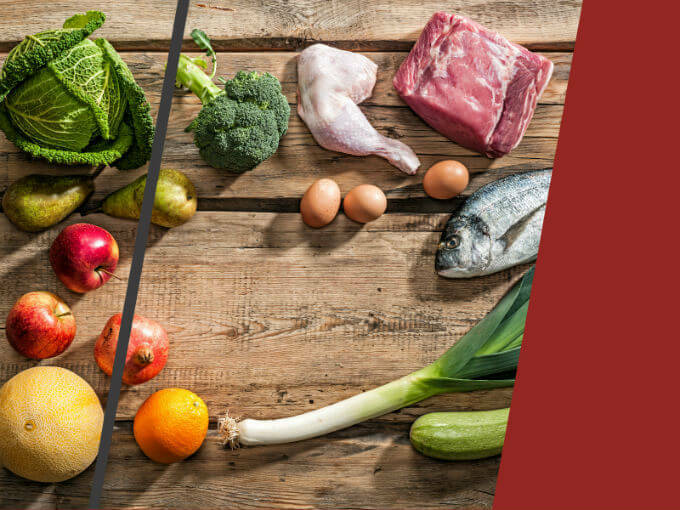 Cook & Prepare food – Even if it means just standing on a chair near you while cooking, they can be a part of the process. I typically let our daughter do our measuring for us so she can practice motors skills and coordination. She also mixes and even has a dull knife that she uses (under supervision) to cut soft food when preparing snacks for herself. How have your toddlers helped with chores around the house? 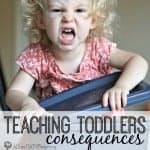 More articles you may enjoy involving your toddler! I love this concept, and such great ideas. I have seen so many of my friends kids baby them to death when in reality they can become strong, confident members of the family and contribute. I think kids would much rather help their parents than watch TV (at least I hope!). Very cool! I ADORE the idea of strong and confident kids. Life is sometimes just too convenient and doing chores I think instills a better sense of worth that being waited upon hand and foot. And yes, yes, yes to your TV comment. I believe it’s true just because tots are so eager to help and be they want to be involved and not just sedentary. Thanks so much for your comment! My 17 month old loves to help with laundry by pushing the clothes in the dryer. I will take the clothes out of the washer and put them on the door and he pushes them in all the way. I usually place my knee or foot on the door bc he also likes to help by closing the door and I don’t want his fingers to get closed in the door. He enjoys throwing things in the garbage so I give things to him to put in the garbage or recycling. Love this! I never really knew that moms did chores by themselves. I remember dusting the low shelves at grandma’s house “because it’s good on little knees, but hard on old ones”. Little kid translating: I can do something grandma can’t! I can help! My now 3 year old sorts his colors and whites for laundry, and loves to do whole loads start to finish. Folding is still hard, but he’ll gladly match socks for mommy to roll, sort what belongs to whom, and put them away once folded. It is hard to not bounce in Mommy’s nice piles sometimes, that’s when he plays dumpster with play cloths, or pretends to be a dryer (round laundry basket with the play cloths). What a hoot! Isn’t it funny and wonderful how kids are so eager to help out when they feel like they can truly do something we can’t? I even found a cute book recently called What Moms Can’t Do and it was cute like that. My Little Bean is 17 months old and really loves being my little helper. I am constantly trying to come up with ways he can help. I never thought of putting the clothes in the washing machine. Thanks. I’ve had my 22mnth old helping round the house for a long time. And he absolutely loves it. I’ll often leave one connection off the vacuum cleaner hose so it’s the right height for him and let him try to vacuum too. He also helps with the laundry. Although a couple of weeks ago I hear the machine start filling with water and a proud little dude came into the room saying “mummy. Helf. Daniel.” He had filled the machine with all of our shoes. And switched it on. 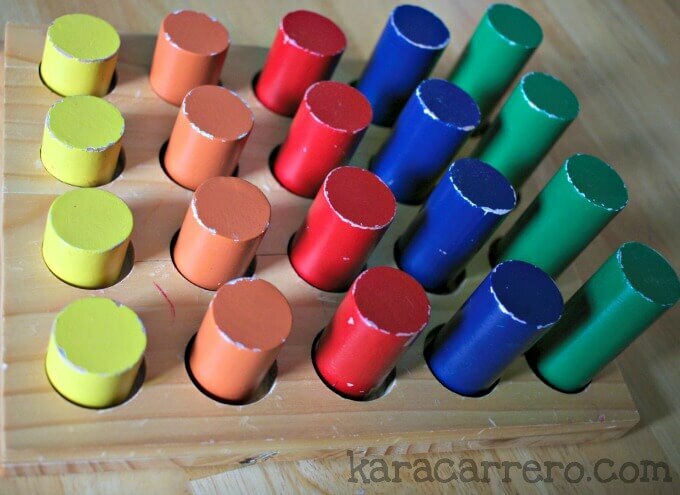 These are great, Kara! We’ve got five under 8, and the two year-old often takes cues from the older kids. Your point about mimicking “real” work is such a good reminder. I’m a brand new momma but i love reading these posts for my students. When I taught a two year old class my students cleaned up after themselves after lunch and snack ( put their trash away, put their cups and spoons into our dirty dish bin and then went to a low mirror in the classroom to wipe off their faces). they loved having that responsibility and independence. Amazing ideas. 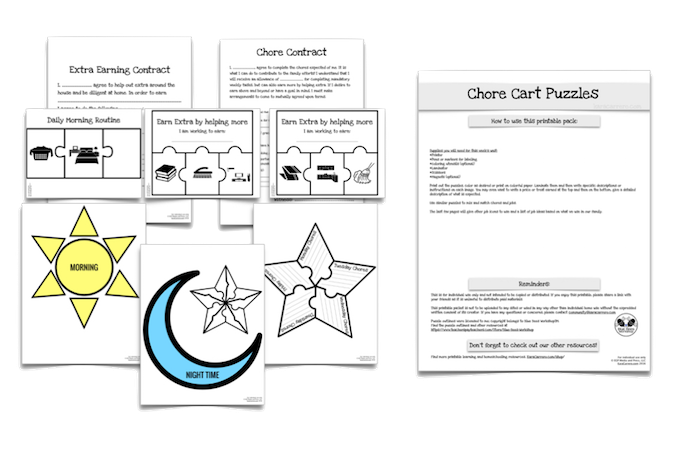 Kids will become more responsible when they are encouraged to do their own chores in a daily life. 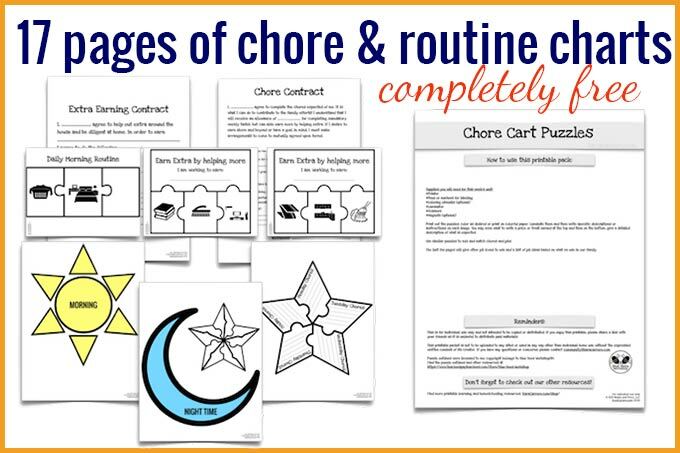 Finishing up with their chores will also make them smarter. Reward them with stars.